Reversible! 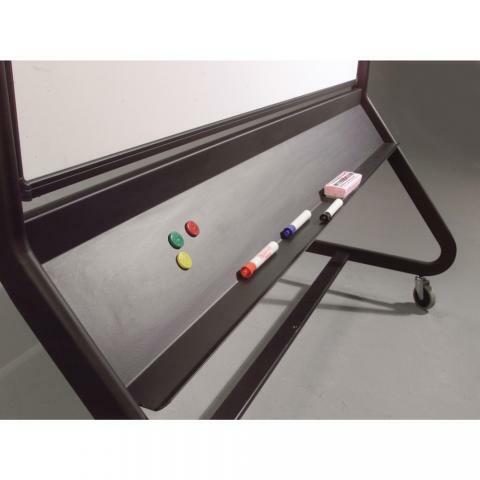 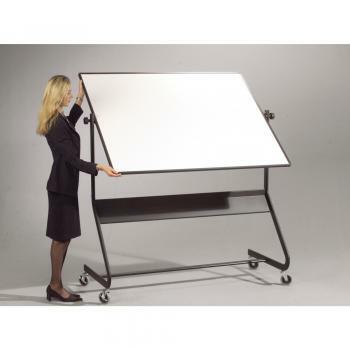 This reversible dry erase board features a double sided dry erase surface constructed of Porcelain Enameled Steel (50 year guarantee). 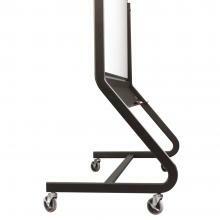 It rotates 360 Degrees and locks into place. It features a durable black anodized aluminum frame which sits on 3" locking casters. A full length, extra-deep accessory tray is included. 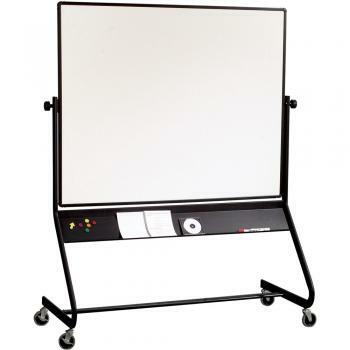 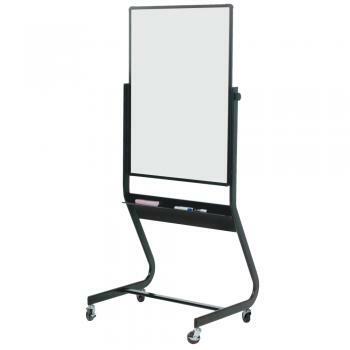 The magnetic dry erase board also doubles as a magnetic bulletin board.